The future is virtually everywhere, virtually anywhere, virtually anytime. The future offers agents 100% commission. The future combines robust agent marketing services with cutting edge brokerage features.The future develops and supports professional real estate entrepreneurs. During this time of decreasing commission rates and evolving market dynamics, more real estate agents join independent real estate firms over large franchise firms. According to recent NAR statistics published on NAR’s website, 51% of licensed agents are now with an independent real estate brokerage. We are seeing this trend continue. The following is a quote from a real estate journalist. This is not an attempt on part of Realty 360° Properties to collude or establish any commission rate standards for the real estate industry. Realty 360° offers agent commission plans unlike anywhere else in the industry. As the most efficient brokerage in the business, we extend tremendous cost dsaving advantages to our agents. Three Sixty is not a franchise, and there are no additional layers of unnessary corporate fees. We have seen no other company offer so much value for a professional real estate consultant. Our agents enjoy more technology, marketing and support services than any similar firm in the world! Realty 360 provides an end to end No Office Required solution. Although we do provide offices, you never have to use one. Online and on the App – Organized, secure and simple to use, our contract management platform makes us among the most advanced brokerages in the country. Convenient for clients and less prone to error, run your real estate activities at any hour from anywhere. 360° transaction services deliver unprecedented agent support and contract compliance. Our transaction processing technology runs online and on the App. More than contract compliance, we offer contract collaboration. These capabilities provide agents, clients and the firm communication with coordination. Each transaction automatically generates a contract to close project in our online and app solution. Enjoy direct communication with instant messaging, standardized task tracking and accountability, integrated scheduling of activities and so much more… Agents can even instant message administrators and the broker for issues pertaining to a transaction. It’s quick, clean and easy. Preparing contract forms at the direction of the licensed agent and subject to the licensed agents review and approval. Sending and receiving an agent’s documents between parties to the transaction. Receiving completed contracts and updating the contract management system. Making additions or changes to a listing under the supervision and final approval of the licensed agent. The dedicated assistant services are for remote activities, not in office or in person, and the depth of services provided is vast. There is a per month fee and a per transaction fee for this level of support. These costs are a fraction of the costs for a traditional full or part time assistant and come with less management and training time required of the agent. Each agent transaction can be monitored before it closes and tracked after closing. Know your expected commissions for each transaction anytime in real time. Agents have secure access to all of the financial data associated with their commission plan and their deals under contract. Track your progress over time. See your production reports online and in the App! The agent web pages come complete with an IDX integration including the agents listings. Each agent page provides lead capture with a simple CRM. More advanced options for agent web sites and CRM are also available for an additional fee. The 360°referral firm gives agents who prefer to earn a commission by referring clients to another 360° agent. The referral firm does not require MLS participation and is free of charge for referral agents to join. Remember, E&O as well as education requirements still apply. Failure to comply with ethical, education, E&O and other administrative requirements disqualifies agents from referral firm participation. This is a great option for part time agents, or agents unsure if they want the full fiduciary responsibility of a direct agent=cy/client relationship. Our company coach helps agents build and work a smart real estate business plan. Inquire about these individualized services.  In addition, newly licensed affiliates are sponsored into Realty 360° by an existing agent. These sponsors provide direct guidance for the getting started process. Our agent web pages come with lead capture and a simple CRM solution. Education and assistance on more robust technology is available as well. Our curriculum focuses on business development and management for the real estate entrepreneur. Content is designed to help agents do more business faster and serve clients with unprecedented care and precision. Participate in person with seminars and workshops or online through our company intranet. The most advanced communication and showing scheduling solution in the industry, and there is an App for that! We push your listings directly from the MLS to hundreds of real estate web sites. We double push our agents listings with the help of our own coded RETS feed. Here a just a few of the hundreds of sites with whom we syndicate. Yes, we have an app for this too! Realty 360° believes in building a community of entrepreneurs, and what better way than with the help of our agent base. We offer large bonuses for finding other professional real estate consultants to join the 360° real estate future. These bonuses vary from time to time and may include $500 one time bonuses, 10% of sponsored agents’ production, and bonuses on top of those. We do not offer a multi-level marketing scheme, or a stock option ponzi scam. We just develop professional real estate entrepreneurs. Realty 360 stands out among the rest with its streamlined and flexible agent marketing services. MyRealty360.com company intranet and online services store provides a simple way to view click and order customized marketing materials. Our store of products and services continues to grow. Some of our offerings are 100% free for our agents. Other services are provided at an additional fee. Listings email and email video syndication to all agents of the Knoxville or Nashville MLS (Chattanooga coming soon). These info graphics (often called email blasts) give our agents a competitive advantage during listing presentations. Get off to a great start at Realty 360° Properties. Let us provide a complementary welcome marketing start up package. Delivered in conjunction with one of our agent marketing workshops. RSVP required. Event dates will be posted. Learn from industry experts some of the best practices, innovative techniques and strategies for building your business. Our custom 360 Pay App allows agents to submit earnest money and commission proceeds directly to the company – remotely, securely and quickly from their smartphone or tablet. No more mad dash to the office after a late closing. No frantic rush to submit earnest money checks after hours – it’s all automated! Offices for meeting, printing, collaboration, training and more. Although we are a virtual entity, we continue to local work center locations for agents to stay productive. We believe in collaborative work spaces, and smaller footprint offices. Enjoy more locations as we continue to grow and serve more professional real estate consultants. ** Agents may change the plan one time in each 12 months.